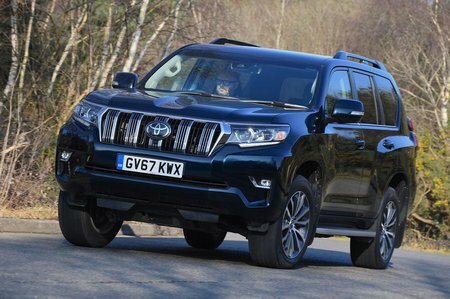 Toyota Land Cruiser 2.8 D-4D Icon 5dr Auto 7 Seats 2019 Review | What Car? What Car? will save you at least £3,386, but our approved dealers could save you even more. The price jump is considerable to move up to Icon, so while it adds 18in wheels, electrically adjustable and heated leather seats, LED headlights, front and rear parking sensors, sat-nav, privacy glass and automatic lights and wipers, it’s hard to justify. It does get automatic emergency braking, adaptive cruise control, road sign assist and lane departure alert, though.